Tucked away in the high-desert mountain foothills above Phoenix, Paradise Reserve is one of the last luxury gated and guarded communities bordering the Phoenix Mountain Preserve. For those who cherish nature and appreciate luxury, Paradise Reserve offers a truly elevated lifestyle. 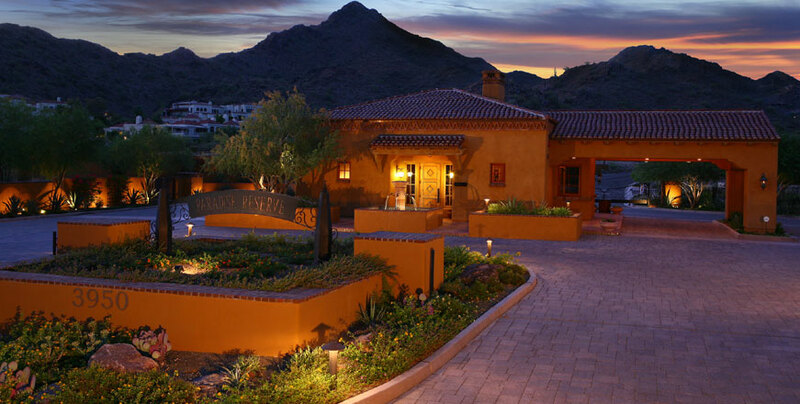 Each distinctive homesite showcases views of Phoenix's legendary mountains including the renowned Camelback Mountain. A serene desert retreat in the heart of the city, this enclave offers the best that high-desert refined living and big-city life have to offer. You can build your own architectural masterpiece on this pristine and protected acreage — a lush desert oasis coveted for decades and untouched by time. Only a place as unique as Paradise Reserve allows you to enhance your family's assets for generations to come while protecting nature’s precious resources for all time. Surrounded by the tranquility of unspoiled desert landscape, Paradise Reserve is also minutes from the finest array of cultural and cosmopolitan attractions. This includes world-class shopping, gourmet dining, premier golf courses and five-star resorts and spas. All the pleasures and sophistication of the city life, combined with all the serenity and beauty of nature at Paradise Reserve — the best of both worlds. 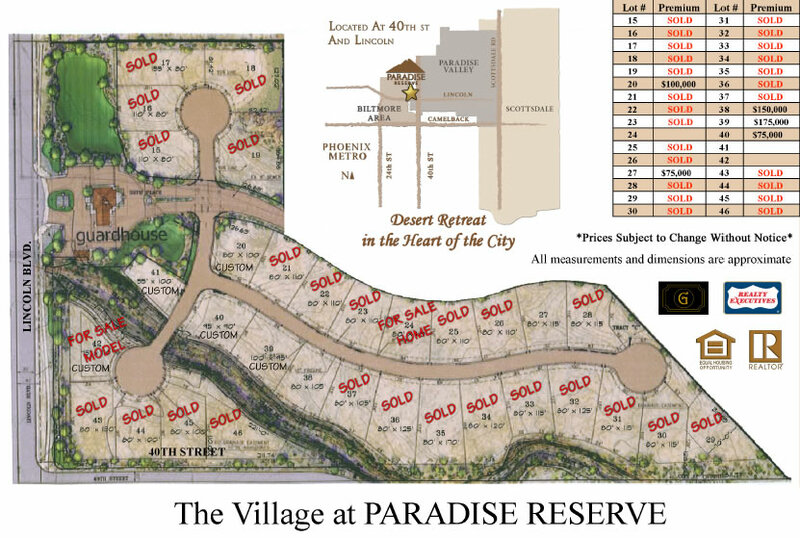 Paradise Reserve is divided into two subdivisions, The Estates at Paradise Reserve and The Village at Paradise Reserve. The Estates is comprised of 14 carefully designated estate home sites that average well over an acre of wide-open space along the hillside for the realization of your personal Arizona estate. The Village provides an intimate community of 32 home sites with luxury homes built by Cullum Homes, #1 Custom Homebuilder as ranked by the Phoenix Business Journal.